I have finally arrived at my favorite part of this site, Italian pizza. 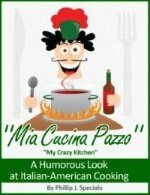 Whether it's Chicago style pizza, New York style pizza, Tuscan Style pizza, Nepolitano style pizza, Sicilian style pizza, or pizza from my favorite carry out places, we will journey into one of the worlds most favorite dishes. 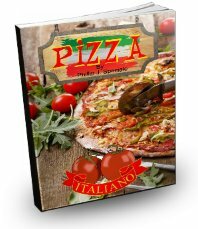 Italian pizza recipes are abundant to say the least. 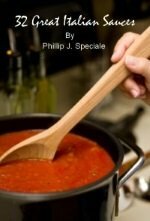 I will give you a few of my recipes to get you started and then I'll try to link you to the rest of the world. To begin lets start at the beginning. The original Italian pizza was considered peasant food back during the Renaissance. This flat bread was basic, usually sprinkled with oil and topped with fresh herbs of the day. Tomatoes and buffalo mozzarella were not around during this time. The first true pizzeria dates back to Naples, Italy in the 1830's. 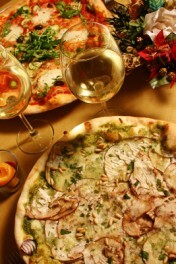 Before "Antica Pizzeria Port'Alba" was opened, pizza was sold primarily through street vendors and open-air stands. Here was the first time pizzas were sold with tomatoes. Unlike other areas, it was common for the people of Naples to add tomatoes and buffalo mozzarella cheese to their flat bread. In Naples, a man by the name Raffaele Esposito has been said to be responsible for the modern day Italian pizza. 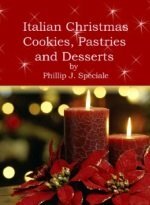 In 1889 he was asked to make a special dish for Queen Margherita Terea Giovanni. The pizza he created was made with tomatoes, mozzarella and basil and is now known as "Pizza Margarita". This set the standard for todays modern pizza. In 1905 Gennero Lombardi opened the first American pizzeria in New York and is still opened today run by his grandson. As Italians immigrated to Chicago and settled into the Taylor Street area, vendors were busy selling fruits and vegetables from homemade carts. Pizza was introduced by one of these vendors who peddled his pizza up and down the streets. 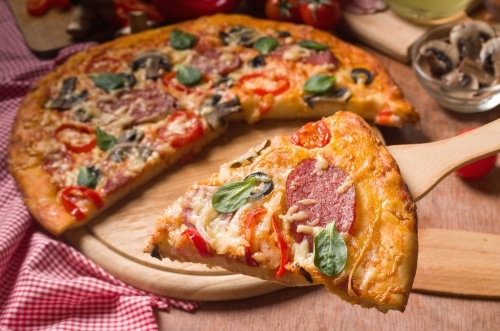 Soon Italian pizza was being served in local bakeries and restaurants. In 1943 Ike Sewell opened the now legendary "Pizzeria Uno" on Erie St. and served what is now known today as "Chicago Style Deep Dish Pizza". This thick crusted deep dish pizza was a big change compared to the thin crust pizza that came out of New York. Today pizza is served all over the world with each country adding their favorite topping. A very good friend of mine, Chef Charles Yost, who moved to Sasebo, Nagasaki in Japan around five years ago told me he has pizza at least twice a month. It's a seafood pizza made with a thin crust tomato base and topped with grilled shrimp, scallops and baby squid that is rubbed with olive oil before grilling and finished with a little spicy hot oil just as the pizza comes out. He's along way from Chicago. Best of luck Charlie and thanks for the pictures. There's a deep dish pizza waiting for you when you come to visit. Pictured above is Chef Yost and his wife Miyoko dining in a pizzeria in Sasebo, Japan. As you can see by this example there are many different variations for pizza depending on which part of the world you live. Right now let's begin with basic dough and progress from there. Enough dough to make you rich. Delicious pizza sauces to top your favorite crust. Great ingredients to top your favorite pizza. Chicago's deep dish favorite with mozzarella and provolone cheese. Three special ingredients top this Italian favorite. Thick pizza topped with anchovies, black olives and onions. You can't go wrong with smoked cheese, artichoke hearts and roasted red peppers. Sweet onions top this delicious pizza. Summertime seafood pizza with ricotta cheese. Sweet yellow pepper pizza topped with tomatoes and fresh mozzarella. Delicious stuffed pizza for the whole family. Delicious meatball pizza with mozzarella and ricotta.